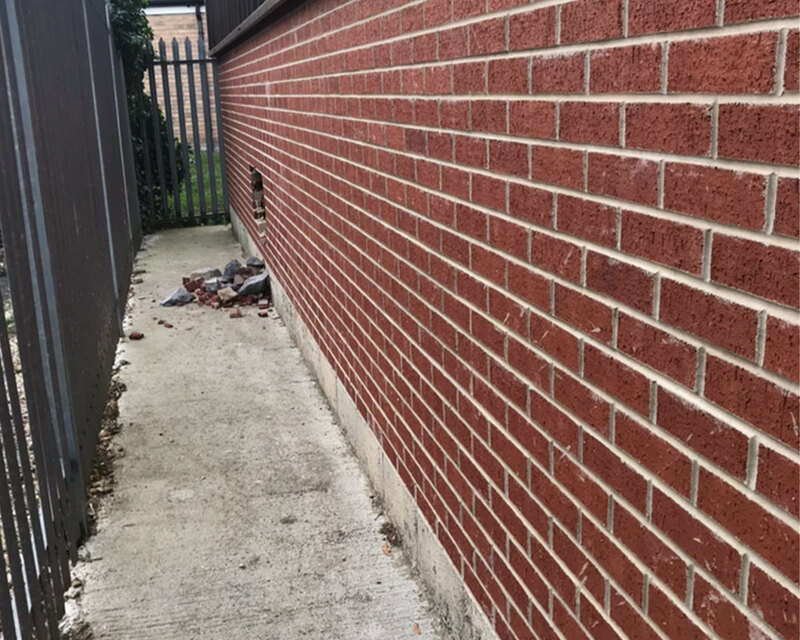 External brickwork and internal blockwork repair recently carried out after an attempted break in. 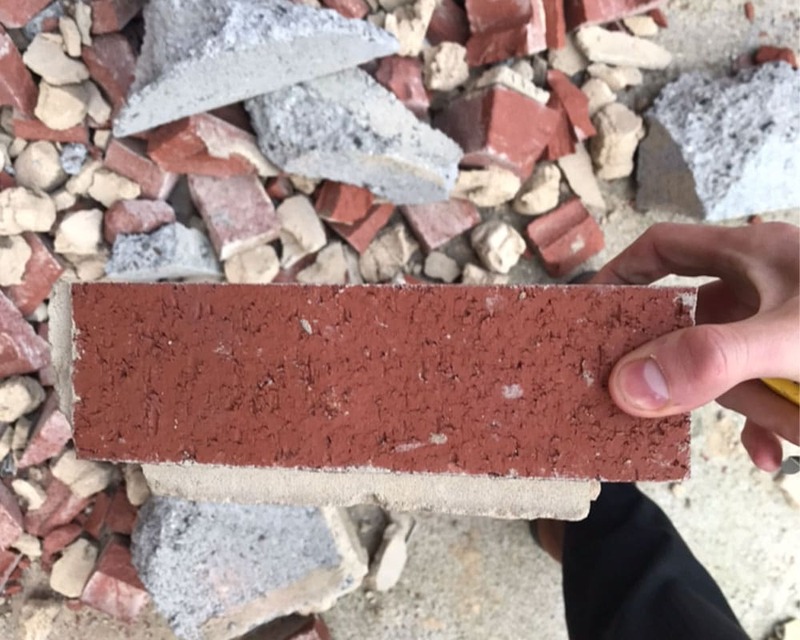 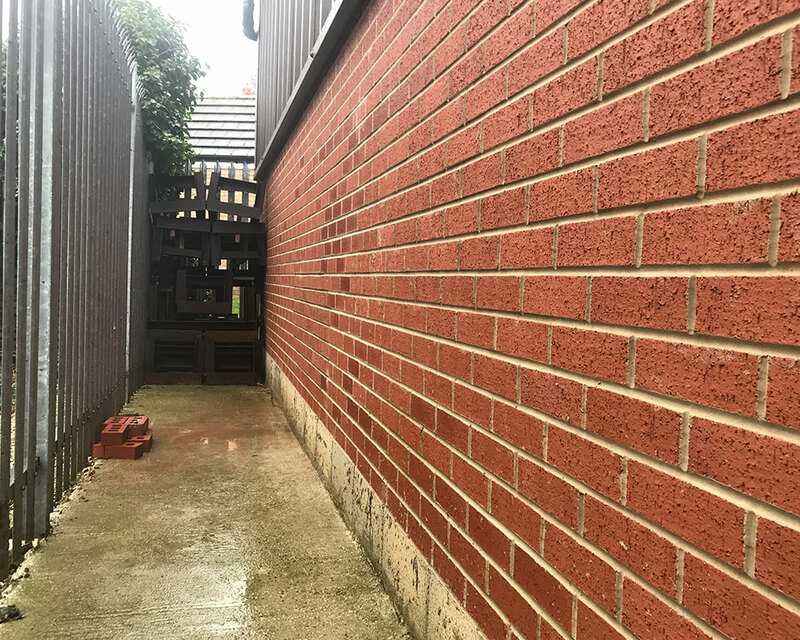 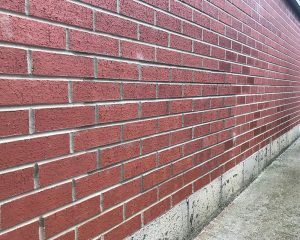 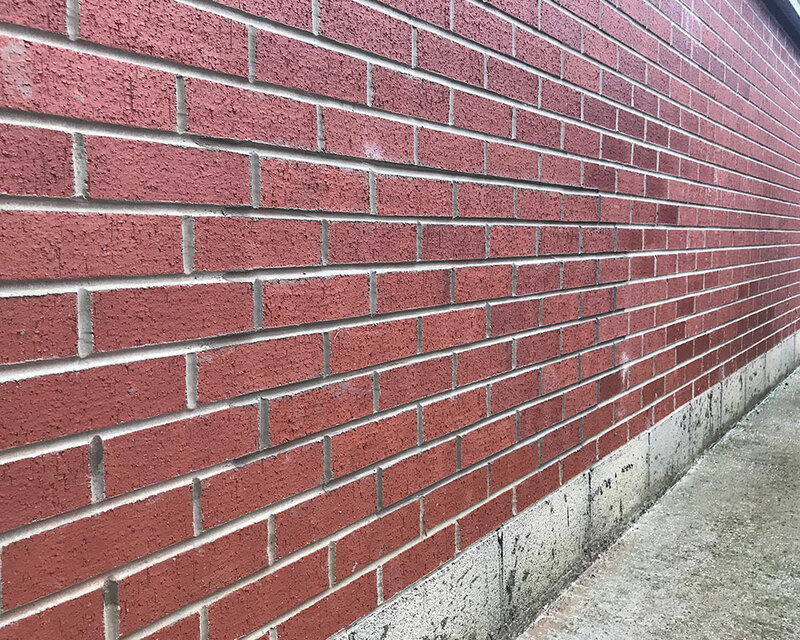 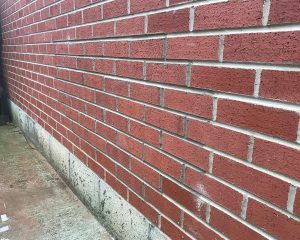 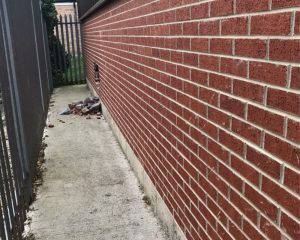 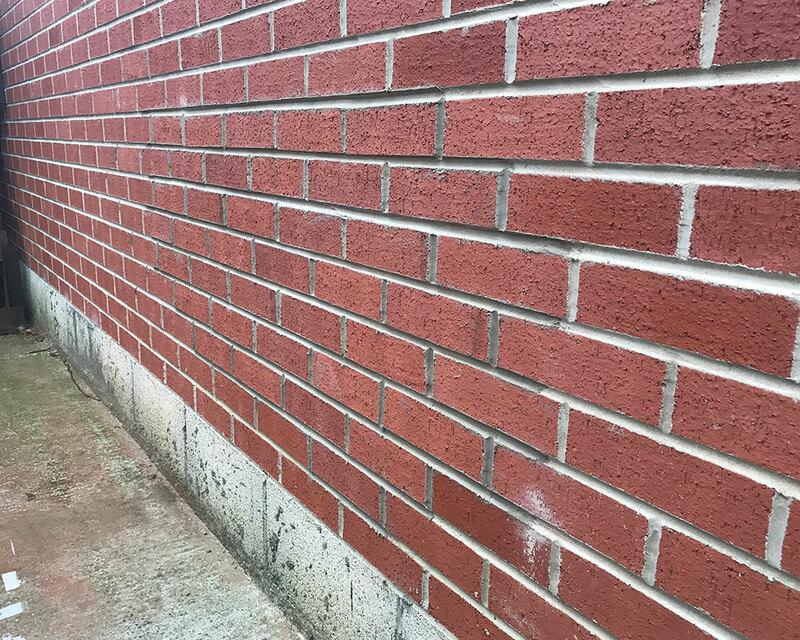 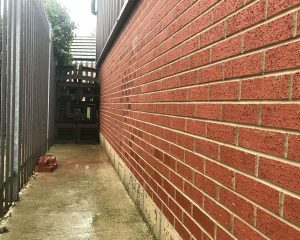 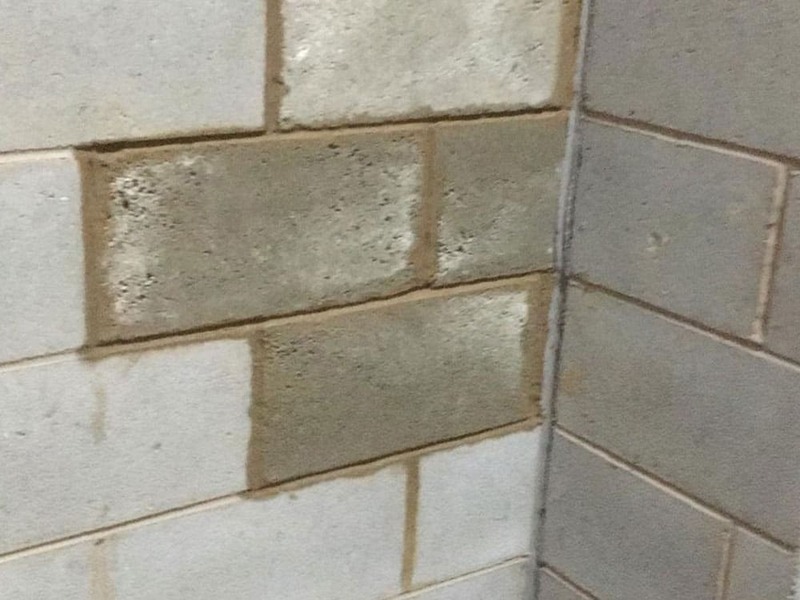 We managed to source the same brick match and undertook the work within 48 hours. made good the external cladding and internal block work. 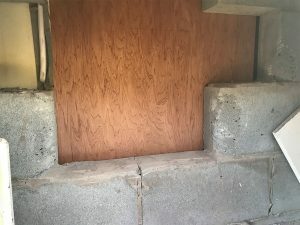 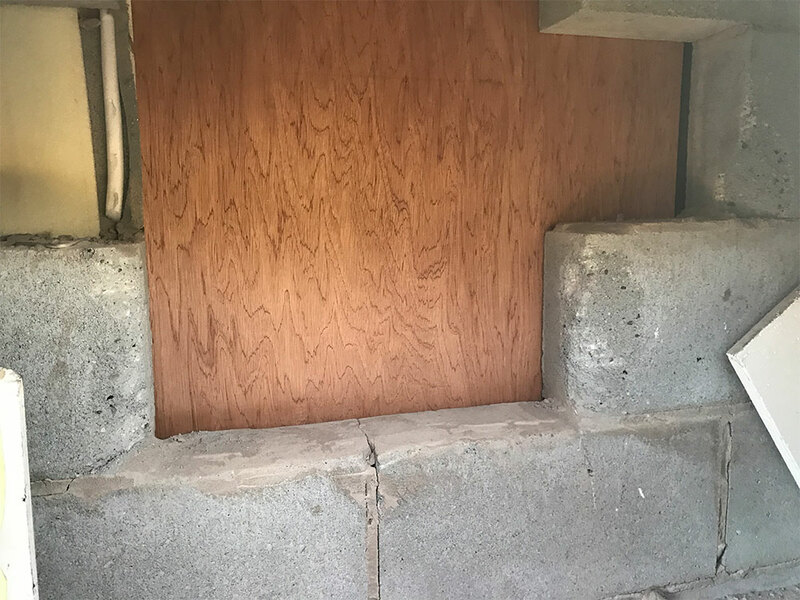 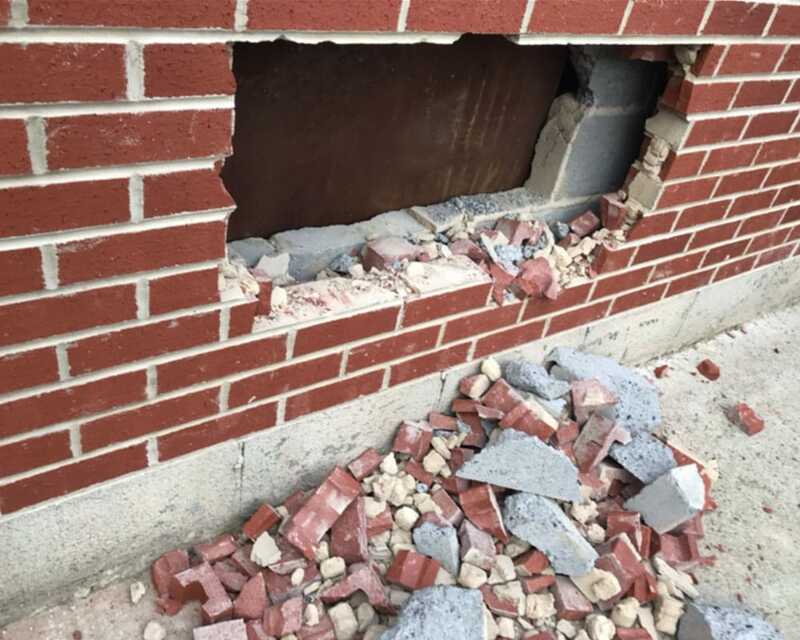 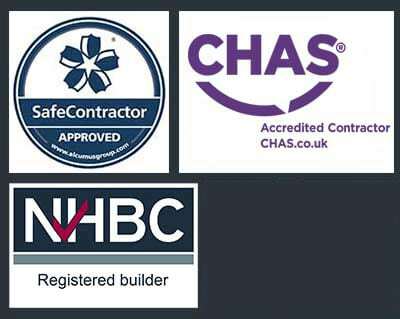 We initially attended and made good/ replaced the internal block work to secure the building. 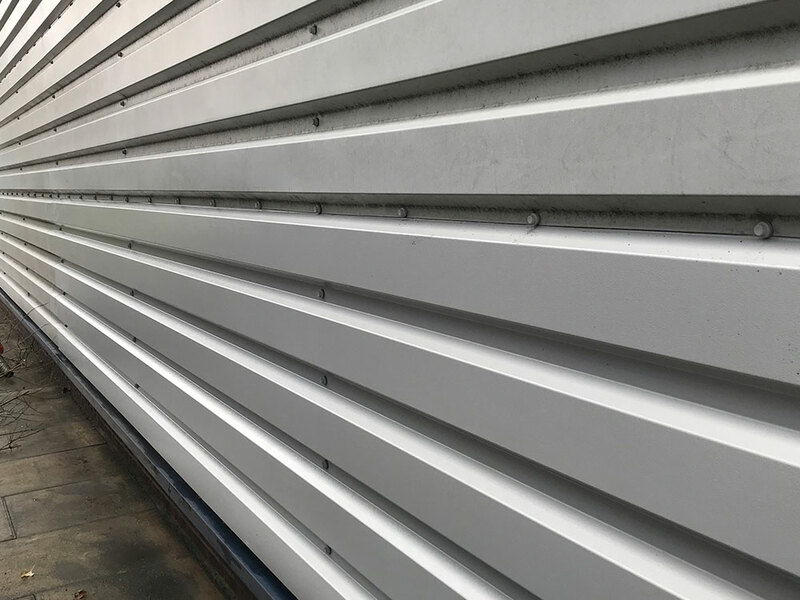 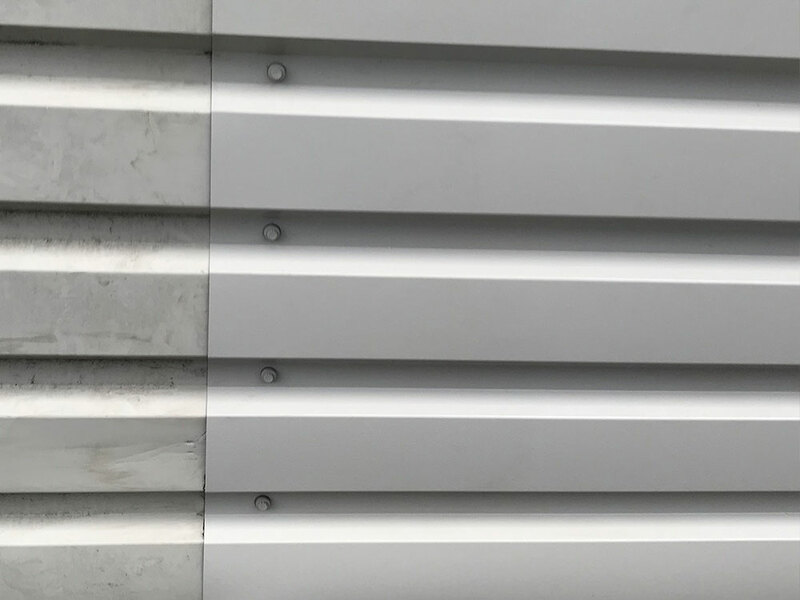 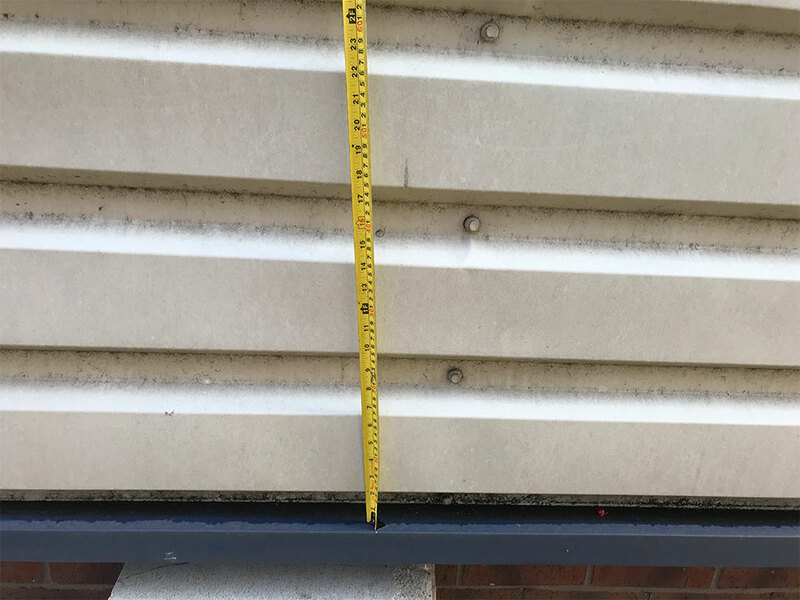 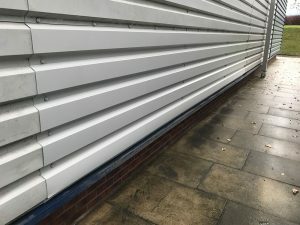 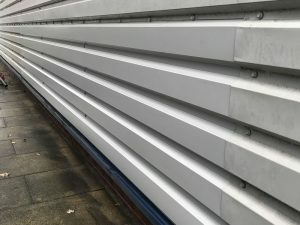 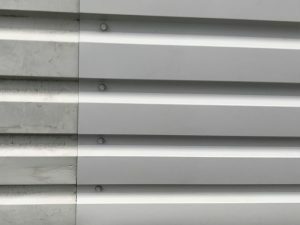 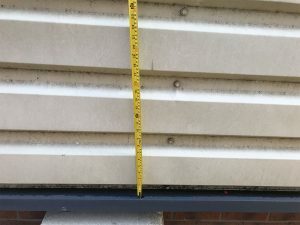 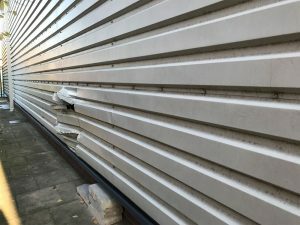 We measured up the damaged cladding panel and got a colour / profile match which was then made to order. 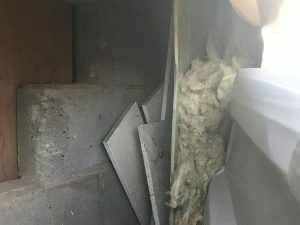 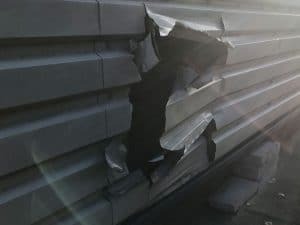 Our cladding team then attended, removed existing and replaced the sheet.